Our Ninja’s specialities include covert operations and iPhone 3G repairs. To our Perth West Australia customers we pledge to deliver upfront prices, friendly service, and Ninja-like speed to any job we tackle. No iPhone 3G problem is too big or too small, so call us or drop down to our shop. And just remember we’ll beat any Perth WA price – that’s our guarantee! So what are you waiting for? Our Ninja-technicians are sharpening their skills as we speak so bring your 3G mobile now to our Perth stores for servicing, or contact us. Specials: iPhone 3G On The Spot Repairs! By far the most familiar iPhone 3G problem our customers experience is requiring the touch screen to be replaced. This is often true because the touch screen is on the frontline of any impact. Symptoms include the iPhone 3G Touch Screen no longer responding, and cracked or splintered glass. In rare cases a white or black screen may result from a damaged digitizer, though often these symptom point towards another issue altogether. So if you require a iPhone 3G digitizer replacement then you have found your repairer. The LCD of the 3G sits nestled behind the glass digitizer, and while not as commonly damaged does sometimes takes the brunt of the blow. Luckily much like replacing an iPhone screen, the LCD is quite a simple job for a Ninja. Most frequently in these cases the screen will display in white or you’ll have lines or bad patterns appear. A black screen can also signify the need to replace the LCD, but can also point to another error altogether. With any water damaged iPhone your best bet is to turn the cell off, and attempt to dry the device off as thoroughly as possible. If problems creep up after turning the mobile back on bring the phone down so our technicians can take a look. In cases of water damage the most common parts to fail on the iPhone 3G are the battery and the LCD display. Sadly due to the complexity of water-logged repairs, this is one job even a ninja must take in to quote. Not charging? Short battery life? Not turning on? Turning off as soon as the device is unplugged from the charger? The iPhone 3G problems listed above can often result from a bad battery or charger port. Thankfully the boys at The Ninja can help when you require a battery for iPhone 3G, so what are you waiting for? Drop down to our shop in Perth West Australia for more info. While most repairs fall under the above categories, the 3G has other issues that are worth mentioning. For example, the Home Button is quite fragile and can break when pressed too hard. This problem can be easy to fix or can require the entire frame with screen. Other repairs include housing replacements, button repairs, software issues like iPhone bricks and iTunes recovery loops, microphone / speaker dilemmas, and much, much more. The original 2G hit the market to both acclaim and criticism on June 29, 2007 launching Apple’s first entry into the mobile market. Despite the doubters the original iPhone was a huge success with both Western Australia consumers and worldwide thanks mostly to Apple’s silky smooth IOS operating system. The 2G sported a 420mhz, 128MB’s of DRAM Memory, a 480×320 VGA LCD screen, and a 2 megapixel still camera which matched that of the soon to be released 3G. 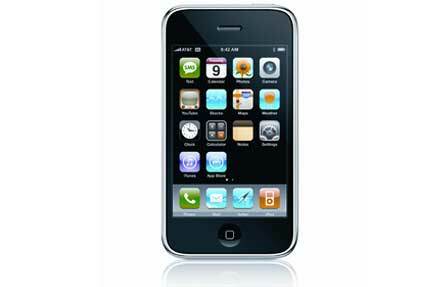 The 3G iPhone hit the market on June 11, 2008 to rave reviews and much media hype. With Apple adding 3G Capabilities, Assisted GPS, and rounding out the package with a sleeker, smaller profile design; Apple stocks soared. The 2G was available in 4GB, 8GB & 16G models while the 3G was only available in 8 GB, and 16GB models.